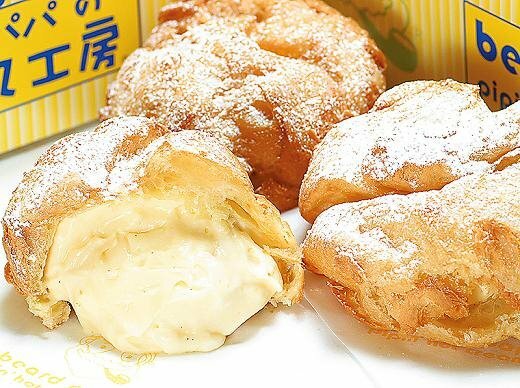 I have been reading about people waiting hours for a Beard Papa cream puff back East in the US. I gotta admit I had never heard of them before. Well, lo and behold, they have one right here in HK. At exit "E" at the Mongkok MTR. I bought us some and brought them home. They got mixed reviews from the kids. Emily took one bite and didn't like it. Audrey didn't like her first bite, but kept eating and said a the end, "These weren't too bad. I wouldn't mind one once in a while". My sentiments exactly. A little pricey, but Krispy Kreme they are not.